Rageh Omaar, speaking on the BBC TV programme This Week, noted that it is easy for western commentators to underestimate the significance of one aspect of Obama’s presidency, writes John L. Walters. That, for the first time, the majority of the world is seeing a US president who is more like them: not white, and with a non-European name. Omaar (a former BBC reporter who now broadcasts for Al Jazeera) made a good point. But there’s another aspect. For the first time ever, we have an American president who looks like a jazz musician. 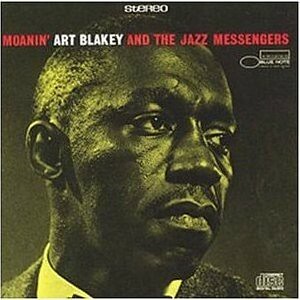 A visionary African-American musician, moreover. 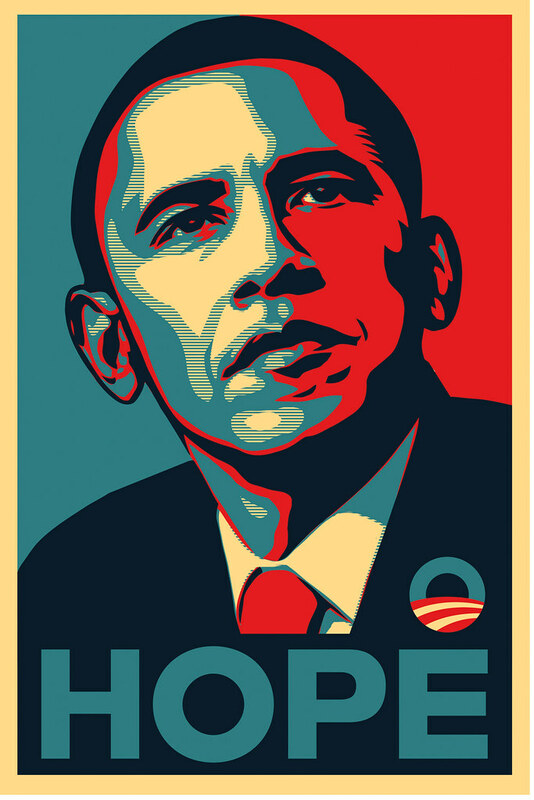 Shepard Fairey’s ‘HOPE’ poster (above), whether consciously or not, reinforces this. Yet many jazz portraits, such as those of Lester Young (who was nicknamed 'president’, or Pres) or Duke Ellington (whose father was a butler at the White House), show the subjects looking down. We see them as working musicians, performing, looking at their instrument or music stands. Portraits and informal pictures from the 1950s and early 60s (by photographers such as Milt Hinton and William Claxton) show jazz’s leading lights at ease in dark suits and crisp white shirts, a mix of formality and cool that we now see in nearly every press shot of Obama. But some of the most resonant and powerful images of musicians show them looking up, and / or into the middle distance, as if they know something we don’t. As if they see a better future, and they’re going to take us there. 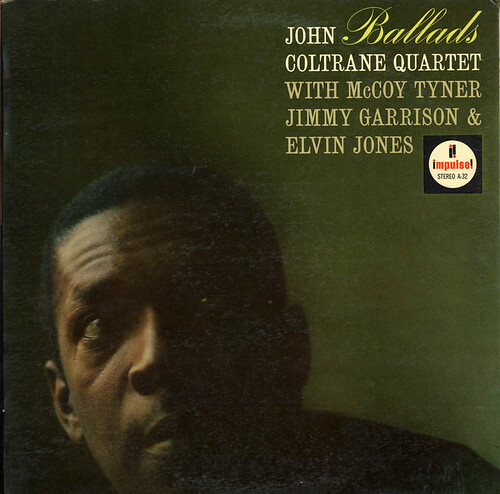 Take the exquisite portrait (above) of Miles Davis, on the cover of his groundbreaking In A Silent Way (Columbia), or this portrait of John Coltrane, from the cover of Ballads (Impulse). 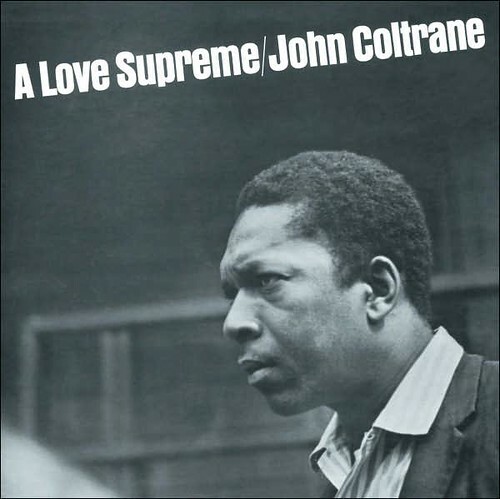 Or producer Bob Thiele’s studio snapshot of Coltrane (below), used for the saxophonist’s most famous and influential album, A Love Supreme (Impulse). 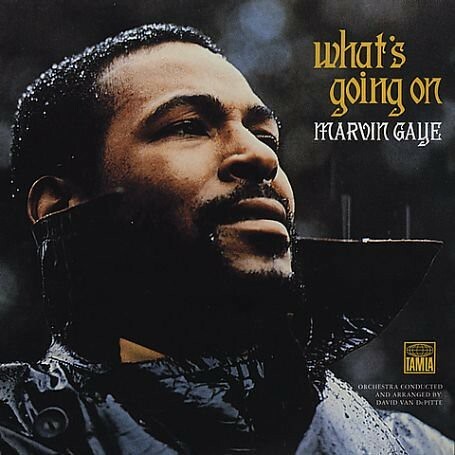 And then there’s the shot of Marvin Gaye (below), on Curtis McNair’s pitch-perfect cover for What’s Going On (Tamla). These are pictures of musicians who shaped the way music has developed over the past few decades. 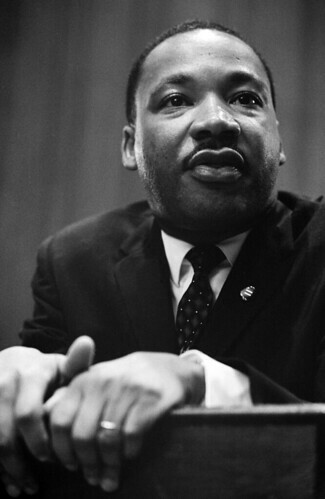 They came of age, musically, at the time of the Civil Rights movement, with the words of Martin Luther King (below) ringing in their ears. 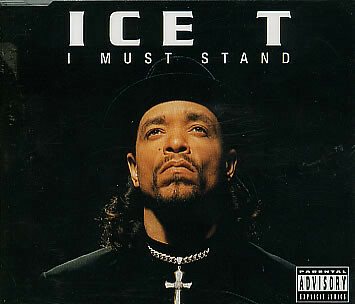 And they reached (and sustained) their creative peaks at a time when album cover images made a powerful impression upon the audience for black music. When Shepard Fairey (who has recently distanced himself from Obama) sought an image of the future president looking up, and into the middle distance (see phillynews.com, for one of many pieces about the source of that snap), did these famous covers inform his choice? 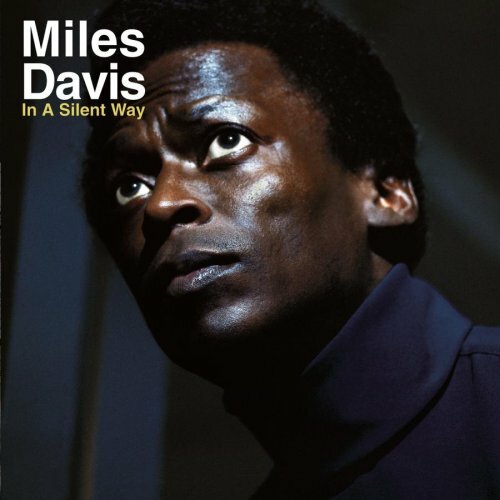 Matt Willey of Studio8 writes: ‘I keep thinking of all those wonderful Blue Note cover portraits, mostly by Francis Wolff; Dexter Gordon on Our Man in Paris; the Amazing Bud Powell albums vol. 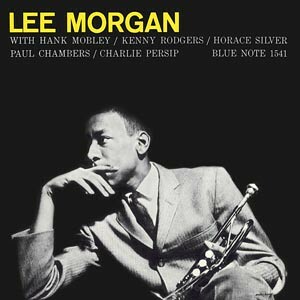 1 & 2; Lee Morgan staring out of Search For The New Land - there's also that fantastic portrait of him on Lee Morgan looking particularly Obama-ish… but with a trumpet; the fantastic portrait of Blakey on Moanin’ and so on . . . (below).